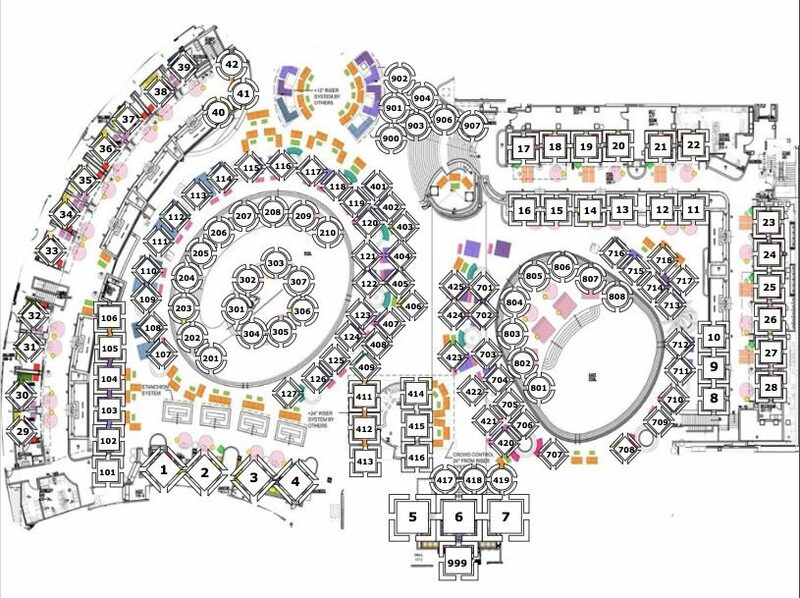 KAOS is a spectacular new entertainment experience consisting of a fully integrated 73,000 square foot dayclub and 29,000 square foot nightclub, which together will completely redefine the daylife and nightlife experience in Las Vegas. KAOS features exclusive residencies with world-renowned musical artists, state-of-the art audio, video and lighting technology and dramatic design and art elements woven throughout the experience. KAOS will showcase numerous exclusive residencies from the likes of Cardi B, Above & Beyond, G-EAZY, Kaskade, Marshmello, Slushii, Jauz, Southside and Skrillex. Kaos Dayclub composed by award-winning design firm Friedmutter Group Las Vegas, the multi-level 73,000 square foot dayclub offers [two] luxurious main pools, numerous side pools and 39 unique cabanas (most with their own private pool). The focal point of the dayclub is a towering 65-foot bronze sculpture by Damien Hirst entitled “Demon with Bowl” (2014), which rises up from the center of one of the two main pools. Boasting the highest number of pools of any resort in North America, KAOS dayclub offers a luxe Greek-inspired oasis that can be found nowhere else in Las Vegas. KAOS seamlessly blends the nightclub and dayclub experiences via a massive retractable glass wall/door that allows clubgoers to easily move between the indoor and outdoor venues. 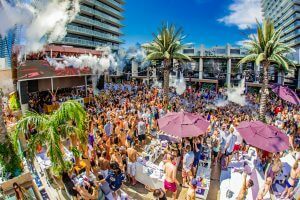 In addition, the nightclub has a rotating 360-degree DJ booth that allows talent to play to both indoor and outdoor crowds, while the dayclub has its own separate entertainment stage in order to provide for multiple performance locations. The dayclub can also accommodate up to [5,000] guests and incorporates a [seasonal] dome cover that will allow it to operate on a year-around basis. Running the length of the eastern exterior of PALMS’ Ivory Tower is the city’s largest LED wall, which streams live shots of the dayclub and nightclub to the outside world, thereby allowing those on The Strip to see the excitement and energy inside the clubs.